Best Whip, Inc was founded in 2001. 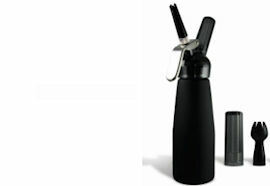 We are located in Fort Lauderdale, FL, and specialize in manufacturing and distribution of compressed gas products, including whip cream nitrous oxide chargers, whip cream dispensers and related accessories. With a strong manufacturing background, our products are made at the largest and most modern facility on the planet, which boasts all quality certifications and complies with strict international standards. The Best Whip Experience is about passion for a quality product and excellent customer service. With presence in over 50 countries outside the USA, where thousands of coffee shops and restaurants utilize our product, it is clear that we have become a major player at the market and Best Whip became the world'd leading brand . We are amazed by the global success of our brand in all our international markets. Our global success would not be possible without our international partners, who share in our values and commitment to bringing the Best Whip experience to customers worldwide. Our Best Whip whip cream chargers, whip cream dispensers and other quality products serve thousands of customers daily, in numerous restaurants, coffee shops, ice cream parlors, and in many retail establishments around the world. Today, we supply many market segments with a wide array of nitrious oxide chargers, whip cream dispenser products, for food, industrial and leisure cooking applications. 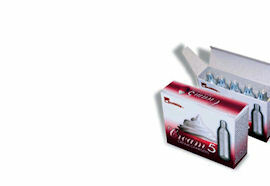 Our nitrous oxide products (including whip cream chargers and dispensers) are famous for their fresh whipped cream and espuma food applications. Additionally, our CO2 products appeal to a diverse range of industries - from carbonated water, life vest and air gun applications, to bicycle and mororcycle tire inflation. We welcome all ideas that can help us to improve our work and customer service. We also welcome inquiries from companies searching for a quality product supplier, and individuals looking for career opportunities. If you are located outside the US and would like to purchase our products locally, please contact us and we'll be happy to assist you with our franchisee's contact information. Please send all inquiries to support@bestwhip.com. 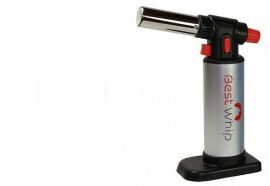 For wide range of CO2 products, please visit www.gas-depot.com.